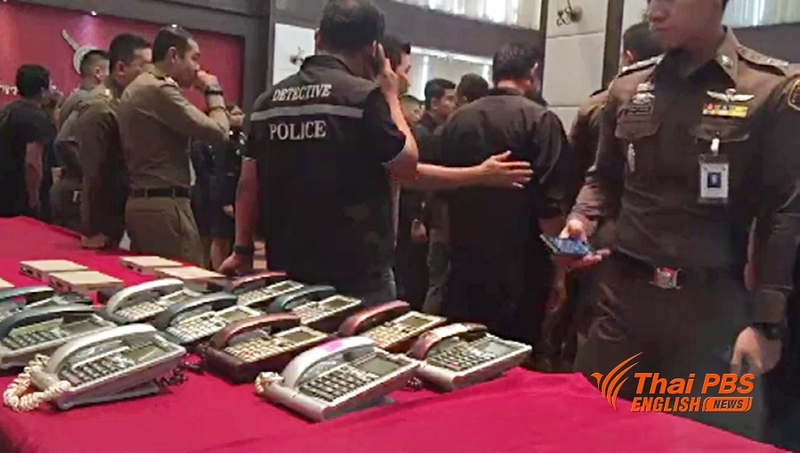 Police have rounded up 21 members of a call centre scam in 24 coordinated raids in Bangkok and upcountry provinces. Addressing a press conference on Thursday (Dec 7), Pol Lt-Gen Thanitsak Thiraswadi, acting special advisor to the Royal Thai Police, said the call centre gang had moved into Thailand from Malaysia, with other members of the same gang moving to Cambodia. 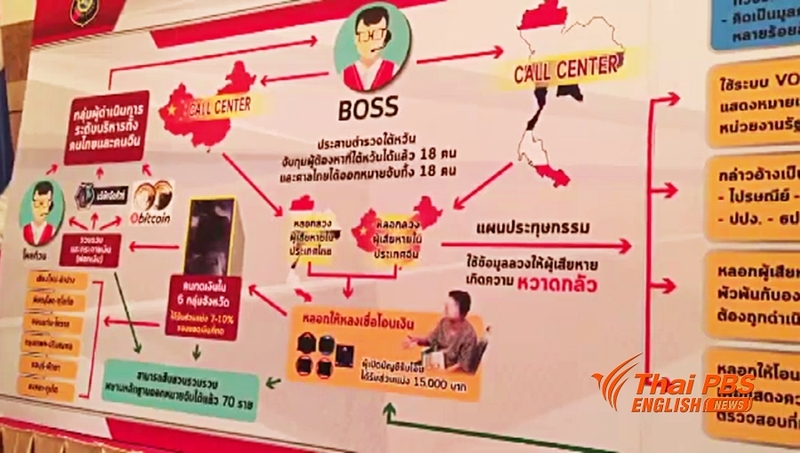 All the call centre networks were inter-connected with the masterminds residing abroad, but hiring Thais as their operators to operate the scam to cheat Thai nationals, targeting elderly people who are more vulnerable to being duped. He said that the scam which was recently busted was allegedly operated by Mr Apichart Kantavisit, with two supervisors and 15 staff members. He added that there were three Taiwanese among the 21 people nabbed. All the suspects were charged with public fraud whereas the three Taiwanese were slapped with additional charges of overstaying their visas and using other people’s electronic cards without permission. Pol Lt-Gen Thanitsak disclosed that police had, so far, busted four call centre scam gangs, arresting 98 suspects and seizing 120 million baht in cash.